Gilchrist paid his delinquent $768 property tax bill on Monday, nearly two months after it was due. The payment comes just days after reporter Charlie LeDuff revealed that Gilchrist neglected a 5,200-square-foot multifamily home that he bought at a steep discount from the Detroit Land Bank in 2016. The Land Bank requires owners to renovate their properties within six months of purchase, but the city allowed the building at 253 Marston St. to remain blighted and abandoned. Democratic gubernatorial candidate Gretchen Whitmer chose Gilchrist as her running mate in August. Gilchrist was working in Mayor Mike Duggan’s administration when he bought the building in August 2016 for $27,000 – half the price the public would have paid because of an employee discount program. Gilchrist, who ran for city clerk and lost last year, has a history of failing to pay property taxes on time for the property. His summer and winter tax bills in 2017 were delinquent and weren’t paid until June 5 of this year, The Detroit News reported. Trailing in the polls, Republican gubernatorial candidate Bill Schuette has pounced on the news about the blighted property and delinquent bills. 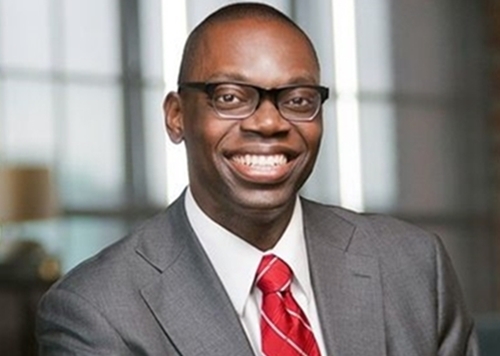 “Garlin Gilchrist has shown he is too extreme for Michigan based on his negligent handling of this property, his past support of Hamas, criticism of Israel and its supporters and other radical positions,” Schuette told The Detroit News. Schuette is a longtime supporter of Donald Trump and was endorsed by the president. He has been hammered for his attempts to eliminate affordable, publicly subsidized health insurance.